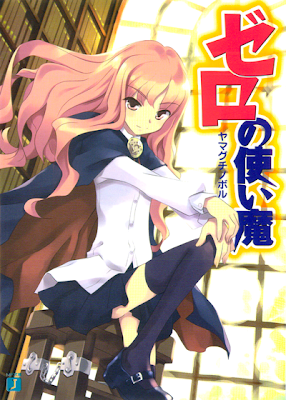 The Familiar of Zero (ゼロの使い魔, Zero no Tsukaima) is a fantasy and comedy-oriented series of Japanese light novels written by Noboru Yamaguchi and illustrated by Eiji Usatsuka. 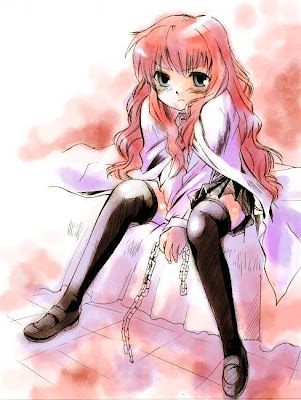 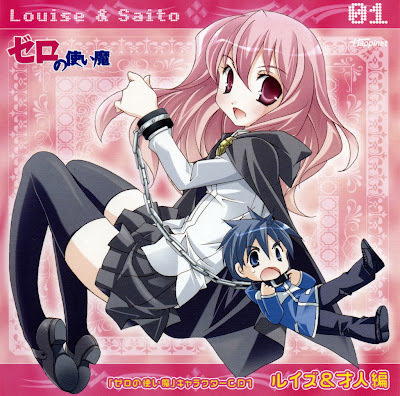 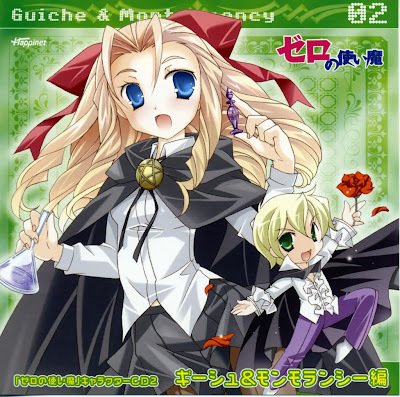 The story features several characters from the second year class of a magic academy in a fictional magical world with the main characters being the inept mage Louise and her familiar from Earth, Saito Hiraga. 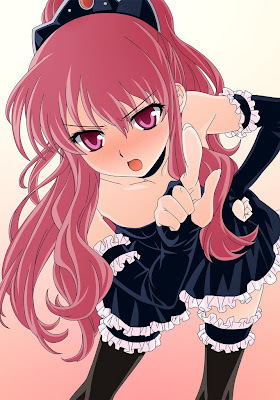 The series has been adapted three times as an anime series. 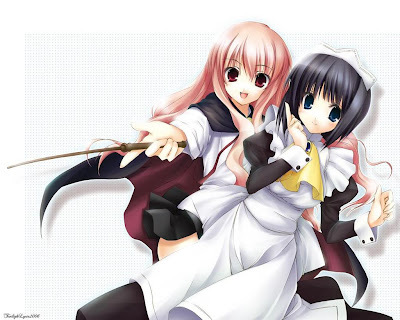 The first season aired in Japan between July and September 2006 produced by the animation studio J.C. Staff and directed by Yoshiaki Iwasaki. 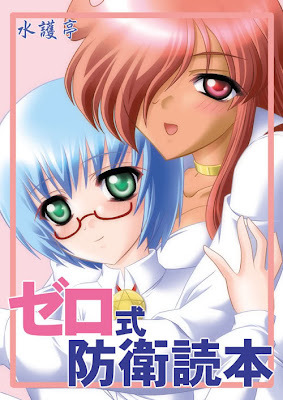 The second season, entitled Zero no Tsukaima: Futatsuki no Kishi, was directed by Yū Kō and aired in Japan between July and September 2007. 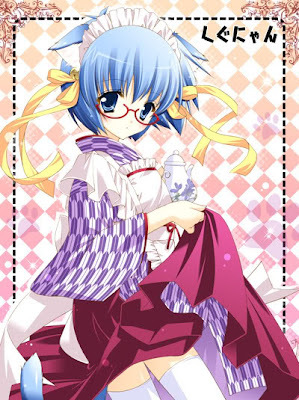 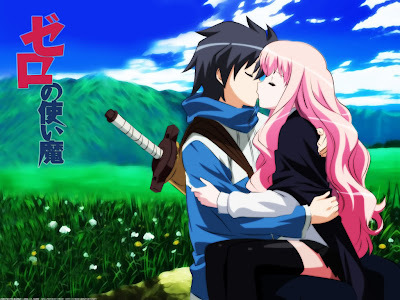 A third anime adaptation, titled Zero no Tsukaima: Princesse no Rondo, is produced by J.C.Staff, with Yū Kō as the director, and aired on Japanese television between July and September 2008. 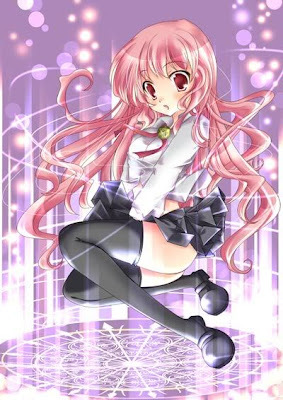 A manga version drawn by Nana Mochizuki began serialization in Media Factory's manga magazine Monthly Comic Alive in July 2006.